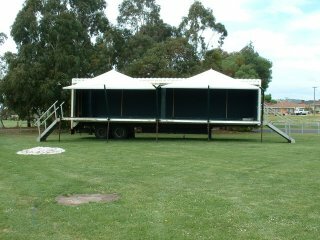 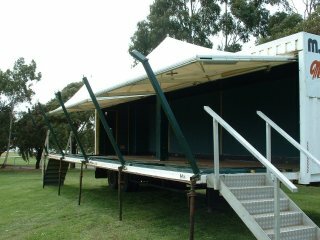 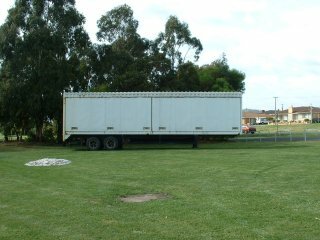 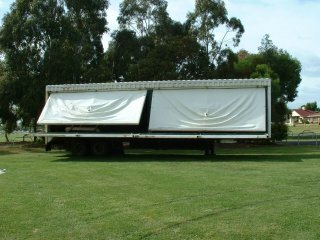 The MRA owns a mobile stage, which can be hired at very reasonable rates. 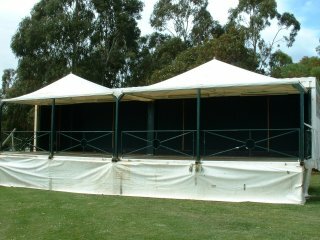 You can download the hire contract and conditions of hire forms from this site. 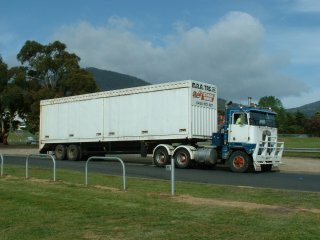 Launceston City Council have issued a certificate of compliance that might be helpful outside of Launceston.